The Blues were held to a 1-1 draw in the first leg at Stamford Bridge and travel to Spain knowing they have to score, like Conte’s former club Juventus did when they won 2-1 at Wembley. “Experience is always important. This Chelsea team has not got great experience, not many players with great experience, because this team lost a lot of old players with great experience. “Now we have many players who need experience. Andreas Christensen, Tiemoue Bakayoko. We have to work as a team and try to be ready. “We must be prepared to suffer in this type of game, because when you play against this type of team, one of the best teams in the world, you must be prepared to suffer. 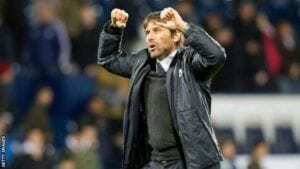 It won’t be easy,” Conte said.